National Maritime College of Ireland. The National Maritime College of Ireland (NMCI) is the first third level college in the country to be built under the Government’s Public-Private Partnership scheme. A Public-Private Partnership (PPP) is a partnership between the public and private sector for the purpose of delivering a project or service traditionally provided by the public sector. In this case the public partners are the Cork Institute of Technology (CIT) and the Irish Naval Service (INS) and the private partner is Focus Education. This model allows the college management and teaching staff to concentrate on education while the private partner is responsible for services to the college and the maintenance of facilities. NMCI Services is the commercial division of the National Maritime College. 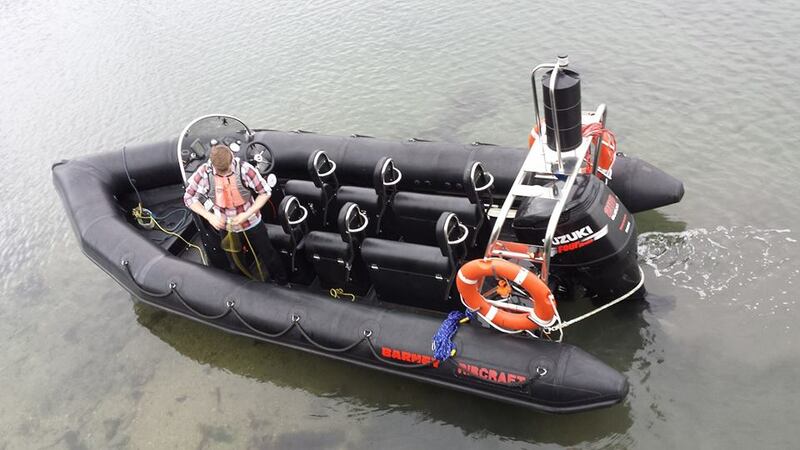 We are the Maritime Training Specialists in STCW, STCW Refresher, OPITO, Simulation, Port and Bespoke Courses. 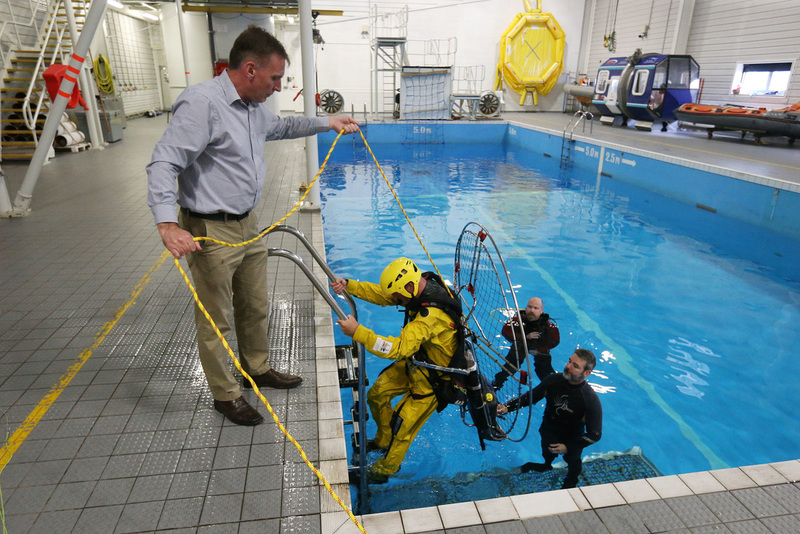 The staff at NMCI were kind enough to help Oisin develop and test safety protocols for sea survival in the unlikely event of a water landing, and in preparation for the 100km of water crossings involved in the trip. 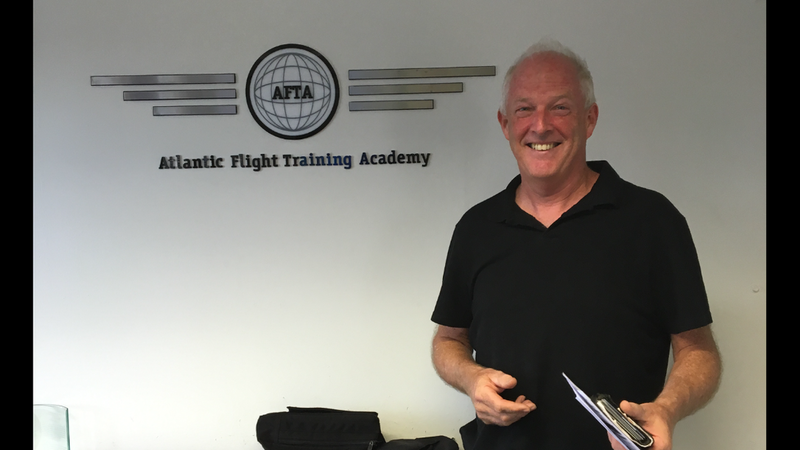 Atlantic Flight training in Cork provided invaluable support and back up, including radio training and English Language proficiency required for the use of the Airband (aircraft) communication. The Academy, approved by the European Aviation Safety Agency (EASA) is based in Cork International Airport, which is renowned as Europe’s number one training airport with every conceivable flight training aid available. John Drew a fellow Cork based paramotor pilot/ cyclist/ rower, and general outdoor person and great friend, drove the support campervan from Cork to Madrid, including the ferry crossings and miles of cross country chasing to bring fuel and sustenance and the overnight accommodation to each landing spot! The trip owes much of its success to the support and assistance John provided throughout the trip. Having a pilot for support was invaluable as an understanding of the flying issues, including equipment, logistics, flying and landing sites etc, was a huge support. John had to return home when wereached Madrid, and missed the last couple of days of the trip unfortunately. 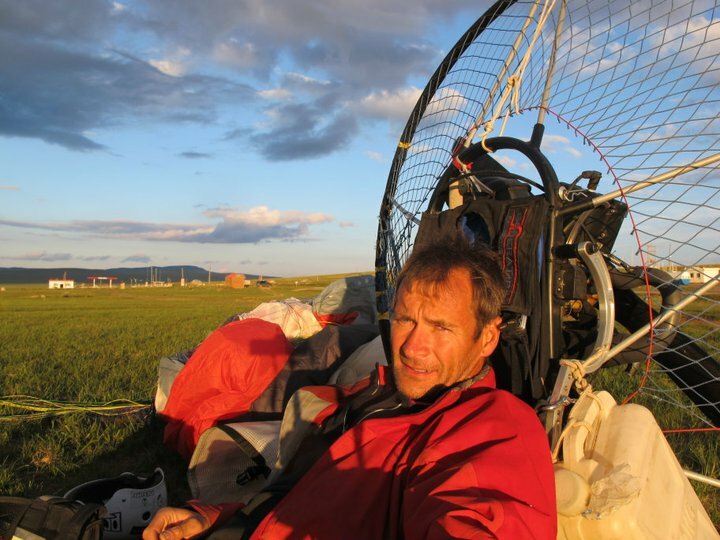 Mel is a another (West) Cork based Paramotor pilot, who has been flying for almost 20 years himself. ​Mel flew into Madrid with his wife Jane, and took over from John for the last few days. Once again having an experienced paramotor pilot who understood the specific needs of the flight and able and happy to drive the camper van to meet fuel stops and collection points proved invaluable. Captain John Murray of the Irish Aviation Authority was a huge support and assistance throughout the planning phases of the project and en-route, available for technical questions!! From the very outset, in a meeting in late 2015, John was fully supportive and was of tremendous assistance throughout. Likewise the other officials in the Irish Aviation Authority, who assisted from the outset. No problem was ever insurmountable, with the assistance of John Murray! Irish Leisure Consultants. Mountaineer/ kayeker/ bikers and general adventurer. 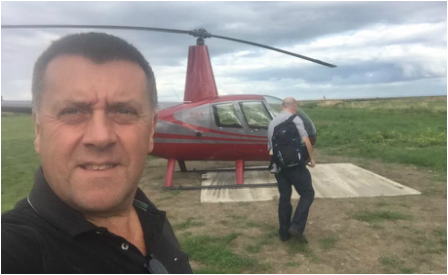 Once safety officer for the Association for Adventure Sports in Ireland and one of the post experienced 'expedition paramotor pilots' in the country, with years of expeditions in Mongolia, Russia, Kazakstan, and many for the other 'Stans', Ukraine, France Spain Portugal and more! Another bouncing board for ideas and experience. Outdoor Education centre manager, President of Mountaineering Ireland and Commercial & Leisure Pilot. Ursula, a good friend, who flew from Ireland to Morocco in a light aircraft some years ago, was a fantastic bouncing board for route information and general flying issues likely to be encountered en-route. My understanding and patient wife and best friend. For putting up with the endless months of preparations, and never doubting I would make it happen! ​Also for coming to Spain to collect me and bring me home safely! Thanks to my Cousin Philip Scallan, who along with Stephan Scallan, Sinead Creagh and David Burns, who accompanied us on our Irish Sea crossing, in Philip's fantastic RIB. Brian Martin - Drone Ireland: For the aerial photography and video clips. Neil Michael - For a great selection of high quality images taken before the trip. Cathal Noonan - For the lovely set of photos taken at the Maritime College and shared with the NMCI. Fergus Taylor - Who joined me for the Irish Sea Crossing and provided the rare photos on this trip of the crossing. John Drew - All the photos from the ground enroute. Jane Bendon - Who took over photography after John had to head home. For inspiring the concept and the connection with Gorta. 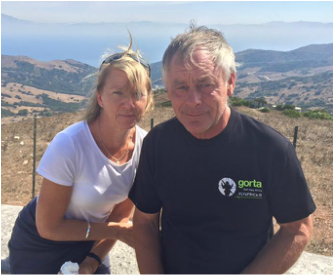 These two adventurers were the inspiration for the trip and the connection with Gorta. Having spent a short time last year providing skipper support to David and Maghnus off the West Coast, the seed was planted and the plan for the flight was hatched! ​The swim is ongoing and hopefully will be finished in the coming weeks.